We live in an age where the digital realm is progressing at such an immense rate we often fail to realize how much change it undergoes. We are constantly updating our operating systems, quickly forgetting the old and embracing the new as the standard. The invention of computers have been relatively new within our generation, but as the new generation grow up with computers, they are the ones who did not experience the immense change that digital design has undergone. And as we go on, we can only dream to imagine how much more it would change. This website serves as a digital museum, a collection of curated online artifacts of computer icons through the years. 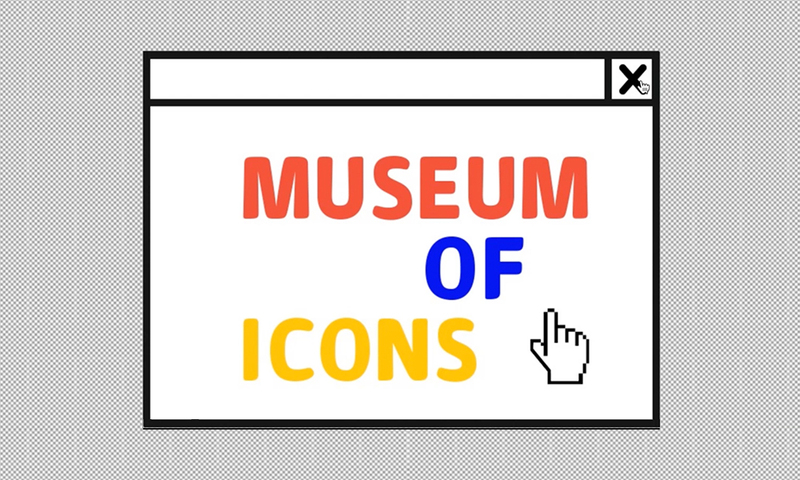 Like any museum, visitors will be able to look back on the history and progression of computer icons over time. The museum is open 24/7 and exists only as a digital space, in the very form it has always been experienced in. The invention of the personal computer is relatively new to our generation, and we have witnessed how much digital design has evolved within the last decade. However, new generations grow up with personal computers and mobile devices, and there's no way for them to experience what we experienced from this rapid evolution. It is our duty to document the past and the present trends for upcoming generations, so they understand fundamentals of interface design. This website serves as a digital museum, curating a collection of interface icons from the last few decades. Users are able to learn about the history of icons and understand how we arrived at the current icon design trends. Gale Tan is a Singaporean designer, currently based in Brooklyn, New York. She is currently studying Communications Design with an emphasis in graphic design at Pratt Institute. A passionate propagandist for using design as a platform to tell stories, Gale sees the world through a unique design perspective. Gale is passionate about problem solving, and creating work that is accessible and inclusive.